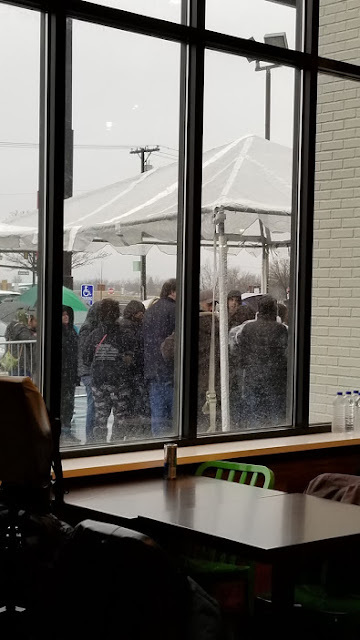 Last night, I was fortunate to attend another Wahlburgers event as media, this time at the Taylor, MI location, which has not yet opened to the public. The location is planning on opening by the end of this month. 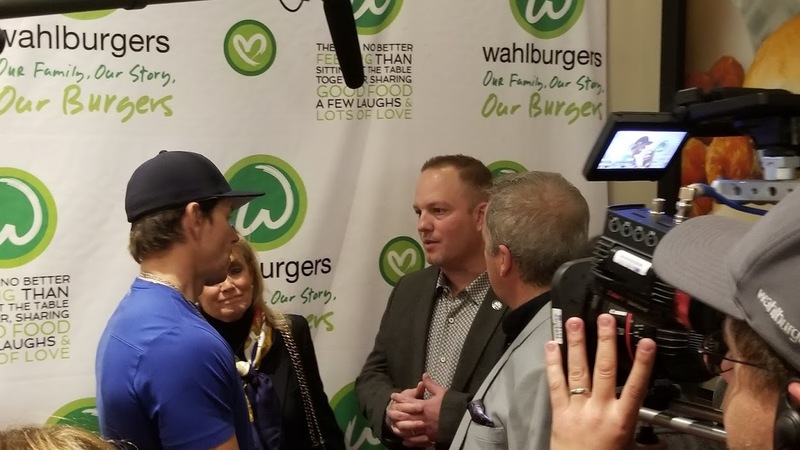 Actor Mark Wahlberg was there to commemorate the opening, and he has said in the past that he is a big fan of Detroit and the Detroit area; this is the 2nd Wahlburgers to open in our area, the first being the Greektown location which opened in 2016. 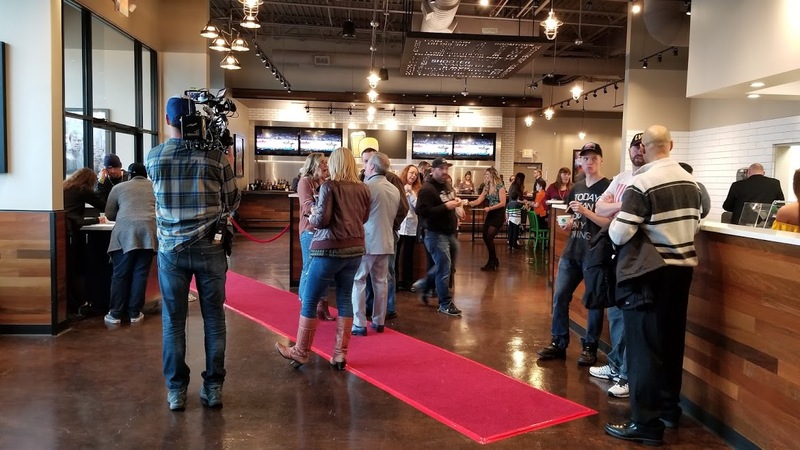 Franchise owner Nino Cutratro, pictured here at left, was also at the event to welcome Mark, as was Taylor mayor Rick Sollars. 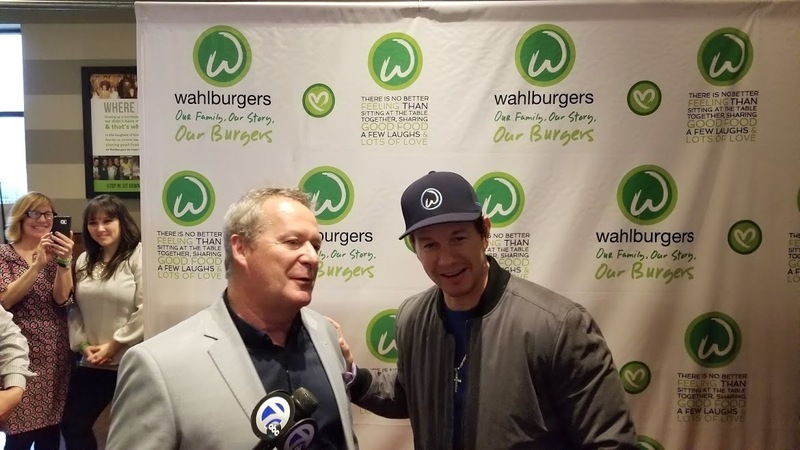 Wahlburgers has another Michigan location opening soon, in Royal Oak near Beaumont, and Mark Wahlberg said at the event that he hopes to expand more in Michigan—he remarked that he likes Flint, and that Ann Arbor would also be a good place for a new Wahlburgers location. 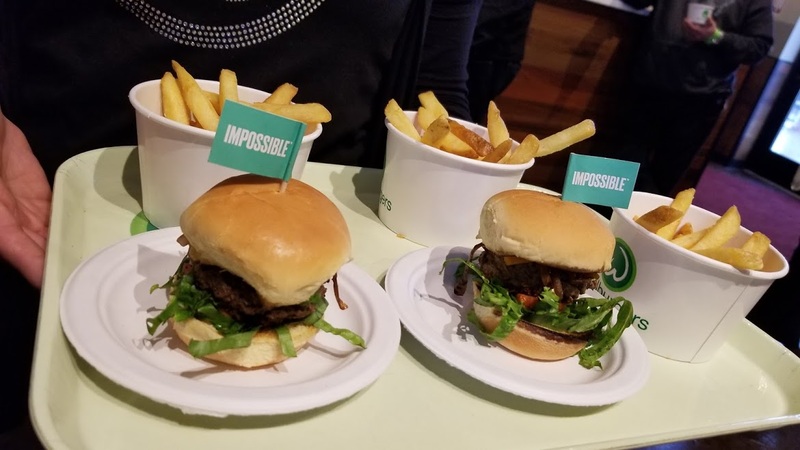 The new Taylor location is Michigan's biggest—and some were saying, the biggest one in the Midwest as of yet—and waitresses passed around samples of Wahlburgers' food, including the vegan-friendly Impossible Burger, which I tried at the Detroit location a few months ago. 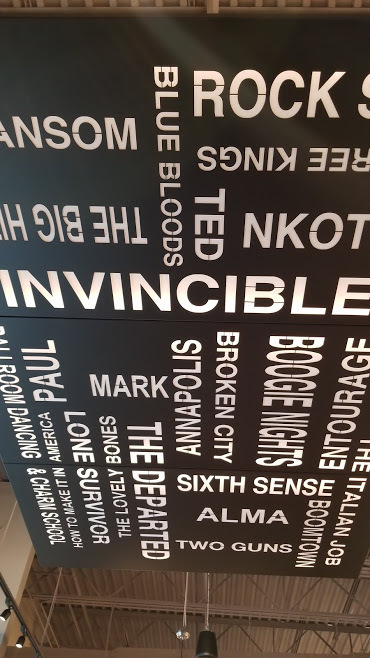 The decor in the new location was very cool, as well—I especially liked this ceiling piece, detailing all of the movies in which Mark and his brothers have starred. Although the party was limited to invitees only, the general public was allowed to wait outside to say hello to Mark. The weather was rainy and cold yesterday (about 35-40 degrees) but a good amount of people still waited for their chance to see him. 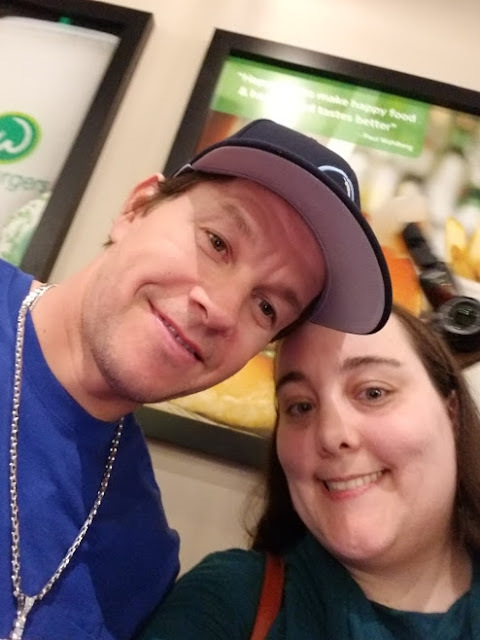 I was also able to grab a selfie with Mark! I had been to an event of his in Vegas a year or so ago as a public attendee, but he had been running late and I had to leave, so it was nice to get a chance to finally meet him. 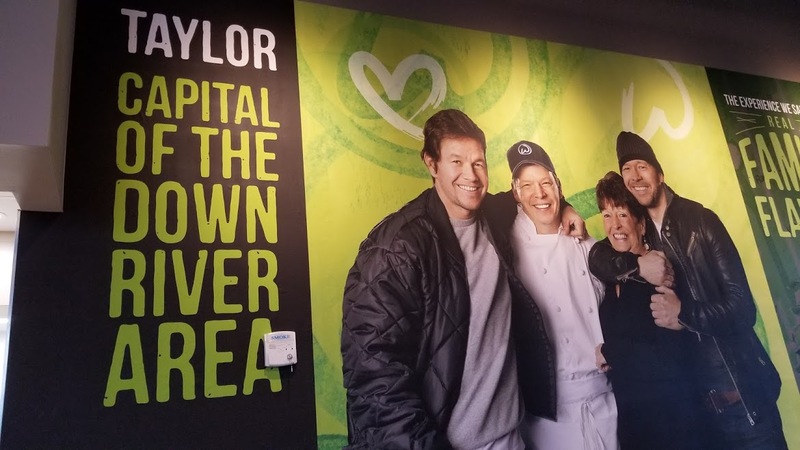 The new Wahlburgers is located at 21200 Penn St., Taylor, MI, and hopes to be open by the end of this month. 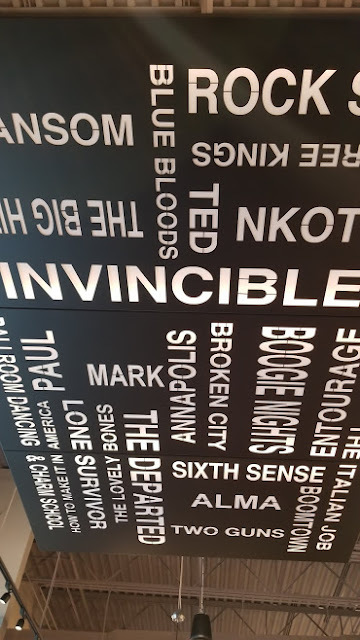 Have you ever been to a Wahlburgers location? If so, what's your favorite menu item(s) to order?